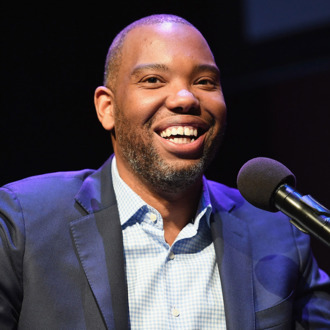 After days of speculation in the comics press, Ta-Nehisi Coates dropped a bombshell: He’ll be writing Marvel Comics’ Captain America. In a short essay published at his literary home, The Atlantic, Coates announced that he’ll be taking over writing duties on the series in a new No. 1 issue, set to be published on the Fourth of July. The art team is high profile: Leinil Francis Yu (Phoenix Resurrection, Secret Empire) will do the interior pencils and Alex Ross (Marvels, Kingdom Come) will paint the covers. It’s hard to overstate how fertile the thematic ground is here. Coates began writing comics with Marvel’s Black Panther in 2016 (which he’ll continue to write) and he’s explored nationalism and patriotism in that series, as well as the co-written spinoffs Black Panther: World of Wakanda, Black Panther and the Crew, and Rise of the Black Panther. But the notion of putting one of the most prominent and thoughtful critics of the American experiment in charge of a character who is, in many ways, supposed to be that experiment’s living embodiment? That should be interesting.